The American Outlaws' call of #WeWant9 is looking more and more likely as the United States national team faces a depleted Honduran side at Rio Tinto Stadium in Sandy, Utah. Securing three points from this revenge match will pretty much book the Nats to Brazil as the rest of the "Hex" qualifying group slips into disarray. Honduras is not the same side that the U.S. went up early on and then fell to the heat of San Pedro Sula. Through injury, suspension, and out-right abandonment of the team Los Catrachos may be without the services of six of their starters. What are we recommending for this match? We stepped away from our local recommendation last time to play a little "six degrees of beer" game, but we're back to honor SLC's contribution to the craft beer world. Before you making any snarky remarks about Utah and their beer.... check yourself. While the labyrinth of laws would make David Bowie's head spin getting a good brew in the "U" isn't impossible... it just means you just have to work a little bit harder for it. Meet Epic Brewing Co. First off, this is Real Salt Lake and U.S. goalkeeper Nick Rimando's favorite brewery. And you trust him, right? Epic Brewing makes some of the state's finest craft beers (Unita Brewing Co. should also be on your "to-drink" list) and their "Elevation" series is impressive. And why not? This USMNT on the last stop on their "elevation" part of the tour (Denver, Seattle, SLC) and what makes this series so interesting is that "tweeks" that the brewers work in every time they brew a new batch of one of the styles (which includes an IPA, stout, golden, and a pale ale) from this series. Photo Credit: "Pops On Hops"
"Tweeks" is the name of the game for coach Jurgen Klinsmann who's constant meddling of the USMNT lineup has re-vitalized some careers (DMB) and re-invented others (Evans, Cameron, etc) and put the team on course for qualification. 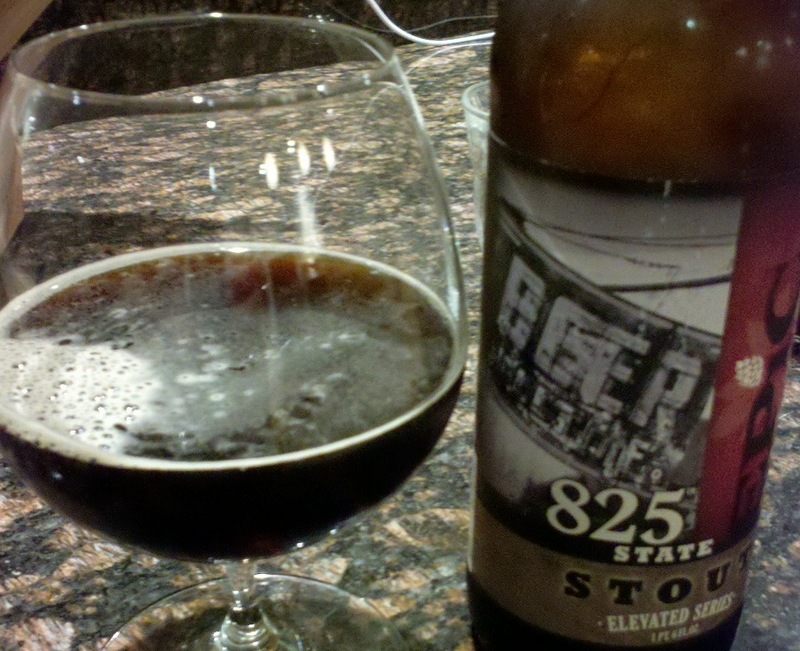 Of all the "elevation" series to choose from we're picking the "825 State" Stout which Epic describes the range of it "from dry to sweet, creamy or bitter". The "flavors Epic explores within this stout are roast chocolate, toffee, mocha, coffee, burnt marshmallow and roasted nuts or combinations there-of." If that's not a tinker's beer for JK we don't what is. And just like this stout (and here's to hoping for another "stout" defense") the tinkering has finally paid off. What you drinking for tonight's match? If you haven't been following along with Kick TV's "The Hex" series (filmed and produced by One Goal) then you're missing out on an incredible set of videos documenting the United States men's national team. Their episode from Seattle is about as close as one can come to capturing the "epic" atmosphere of last Tuesday's match. See how many Free Beer Movement scarves you can spot in this piece about the United States supporters group, the American Outlaws. This was a segment during Fox Soccer's "Goals on Sunday" after the Liverpool-Manchester City match. For those who have never seen FBM Founder Dan that's him wearing his other "hat", a Waldo one, for his other "job", helping run the Austin chapter of AO. VIDEO - Why American Soccer? Because of this. A million times this. Sure you've seen "The American Outlaws" on TV. 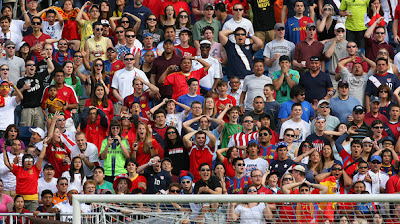 It's all those crazy peopple behind the goal at U.S. national team matches. This short film is a touching and slighty insane tribute to the immense atmosphere that they bring to each and every match (including more and more away games). And it's not just at the stadium that they're like this. It's the same at each and every of their 70+ chapter bars across America. In full openness, I am not a local to Kansas City. I live in Baton Rouge, LA. However, Kansas City was the closest that the USMNT was playing to my hometown and so my father and I decided to take a trip to the Heartland. When I travel I really try to not hit up Chili’s for food or drink Bud Light, so I think my trip will work for a "Local Beer Local Soccer" write up. We left Baton Rouge early on Tuesday morning arriving in Kansas City around 10:15 and got into our rental car. For the one lunch we had in KC we were going to one place, Oklahoma Joe’s for BBQ. Both of us opted for brisket sandwiches (the Z Man Sandwich) which lived up to the hype, but what was exciting for me is that in this gas station BBQ joint there was the first taste of local beer on tap: Boulevard Wheat. While an amber or IPA may go better with BBQ, it was unusually warm in KC and still before noon so the unfiltered wheat beer was a nice start to our trip. Boulevard boasts that their Wheat is the bestselling craft beer in the Midwest and it is not hard to taste why. An easy drinking ale but still packs the flavor that will entice craft beer drinkers. From there we took a trip to Lukas Liquors so that I could make a beer haul so that we could bring some local beer back to Baton Rouge. I picked up bombers from Doodle Brewing, Boulevard Brewing, and Weston Brewing (all Kansas City breweries) along with beers from other regional breweries that I cannot find in Louisiana. (Editor's Note: Also make sure to check out Tallgrass Brewing if you're in the KC-area) If you live in Kansas City you probably have been to Lukas Liquors before, but if you are a traveler like me looking for a nice one stop shop for beer this is the place for you. Now it was time for soccer. After checking in to our hotel which was a stone’s throw away from Livestrong Sporting Park, we took a short walk over to the American Outlaw’s tailgate. Since we were travelers we did not bring an ice chest, so I was excited to see that there were kegs at the tailgate. I was slightly less excited when I was told that it was 5 dollars all you can drink. In my experience 5 dollars for all you can drink beer tends to be all you can drink terrible beer. However, the Kansas City boys brought more Boulevard Brewing, which was great. Four varieties of Boulevard were available which made tailgating so much better. Drinking a Boulevard Oktoberfest (FBM's "Beer of the Game" recommendation over at Stars and Stripes FC) is always better than Natty Lite. Tailgating for any sport is relatively the same: drinking, cooking, music, etc. I had never tailgated for a soccer game like this before. Soccer pong (that’s what I am calling it) was a new lawn game that we had to try. Think beer pong with soccer balls and trash cans, looks easy but it is much more difficult than expected especially when you are taking full advantage of AYCD Boulevard. There was also a dunk tank that revelers were shooting a soccer ball at; needless to say the pour guy in the dunk tank was not getting wet very often. We had tickets in the American Outlaw section, which was general admission, so we waited for the group to march to the stadium. If you get to do this before a game, it is a great experience. Marching a fourth of a mile or so chanting and singing was a nice warm up before getting into the stands. Many of the Sporting KC supporters were in our section which was nice, because everyone was on the same page with the singing and chanting. I have only been to one USMNT game before this one so I am a little green when it comes to many of the chants. So I am unsure if the chants and songs the supporters were singing were US specific or Sporting KC specific but they all worked, especially cheering “You’re not going to Brazil” when Guatemala was warming up (and throughout most of the game). I was too amped up during the game to leave the stands to purchase more beer, however my neighbor was polite enough to buy a beer for me. I don’t think he was entirely too pleased with the beer options, as it was a mass produced lite lager, but for me it was free. Upon leaving the stadium after the win I saw the beer stand and there were no other options other than the typical BudMillerCoors options (Editor's Note: During Sporting KC matches the stadium features local craft beers Boulevard and Weston. We're not sure if these beers were available for this particular match since U.S. Soccer ran the show) Now the rest of the stadium may have had other options for better beer but I didn’t make it to the rest of the stadium. As an aside, speaking of the stadium: Livestrong Sporting Park is a fabulous place to experience a football match. The author on the right, with pops. After the game we needed food and a cold one to end the evening. Not really wanting to drive anywhere and since we were close to a huge shopping complex we had a few nice options. While the Yard House was my first choice, Granite City Food and Brewing was considerably closer to the stadium and subsequently our hotel so we chose that option. I was thinking that this was a local brewpub but was slightly disappointed to find out that it is more of a regional company rather than a local one. However, that shouldn’t change the quality of the food and beer. It is not the cheapest option but it is not terribly overpriced. The beer is of a pretty impressive quality and the food was good so overall I wasn’t disappointed with our choice by proximity. With all the excitement that the day had given us we called it an earlier night than probably most of the American Outlaws in our section. The next day we left fairly early so after one of the biggest breakfasts that I have ever had we headed to the airport. Looking back the Kansas City supporters provided this KC transplant for the day an incredible experience that I will not soon forget. I didn’t get to see as much of the city as I would have hoped but our visit was just for the soccer game and then subsequently a nice beer run. I am hoping that KC is chosen as one of the Hex sites, since it was an easy trip for us and the local fans show up in full force. From the restaurants to the tailgating, local beer was everywhere…except potentially the stadium. Blake Winchell is a Southern craft beer, homebrewing, and soccer fanatic. He is a regional correspondent for AmericanCraftBeer.com and the President of Brasseurs a la Maison a Baton Rouge homebrew club. Since there is no soccer team in LA so he has to find a club across the country and pond to support so he arbitrarily picked Portland Timbers and Tottenham Hotspur. Today's the day they face Antigua and Barbuda in North Sound, Antigua. Today's the day the U.S. Men's National Team takes the field in an international friendly to help prepare for the first round of World Cup qualifying. 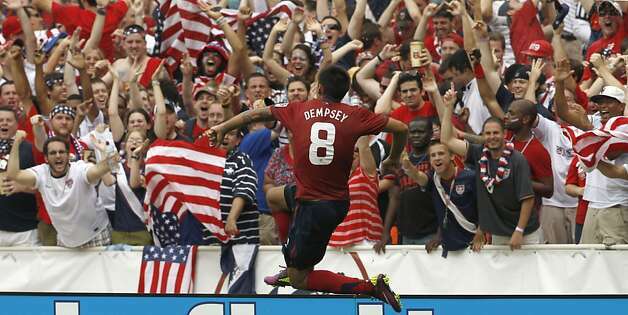 Today's the day that Howard will shine, Landon will lead, goals will be scored, and timely tackles will be made.